Random Fact #4: I was a Club Med G.O. “G.O.’s” are the name of the people who work at Club Med, usually for 6 months at a time at one club before transferring to another one. It’s a fun, feel-wheeling nomadic life and most people work there for many years. I was 18 years old and spending the summer working at Club Med for college credit. My first Club was at Sonora Bay in Mexico. Talk about an eye-opening experience! Now many Club Meds are family-friendly but back then, not so much. The clubs were in remote locations with intentionally barren accommodations; the guest rooms had no televisions, phones, alarm clocks or mini-bars. But the grounds were beautiful, the food was magnificent and the G.O’s were there to entertain the guests day and night. A G.O. was never off-duty. After my “day job” was performed (I was a hostess for breakfast and dinner), I had the rest of the day to do what I wanted – I took tennis lessons, went horse-back riding or just hung out by the pool – but I was expected to chat with guests, eat with them, play games with them, put on an evening show and even encourage them to dance at the beach disco at night. It was fun, but very exhausting. By the end of my six weeks there, I was ready to move on. The next Club Med I went to was, at that time, the only Club in North America, in Copper Mountain Colorado. This was a ski resort in the winter and a camp in the summer for kids from around the world. Nestled at the foot of a mountain, it was absolutely beautiful. It took me awhile to get used to the high altitude, but I had a blast hiking, white water rafting and doing tons of other outdoorsy activities. What fun I had! Until the kids came. I was in charge of the 7 year old girls and up until that point, I thought that I liked kids and would be a good camp counselor. I was wrong. The kids were bratty and whiny and I really didn’t like being with them all day every day. And to make matters worse, I didn’t get along with the Chef de Village (the boss of the Club). His name was Tutune, an older Frenchman who was a rude, male chauvinist pig. His girlfriend, Poo Poo, lived with him at the Club; she was about 22 years old, pouty and spoiled. One day I had enough of Tutune, my temper got the best of me, and we got into a heated argument. As punishment, I got sent home 2 weeks early. I didn’t care; that man was crazy. I only cared if it affected my grade and thankfully it didn’t. All in all, even with the crazy Chef de Village, it was a great experience and fueled my desire for adventure. Some of my fellow college students loved it so much that they didn’t even go back to school in the fall, but instead became full time G.O.’s. I didn’t go that far (my parents would have killed me), but I do have a special love for Club Med and try to vacation there whenever possible. I just hope that I never run into Tutune. Random Fact #5: I survived a shark attack. Confession: I was not attacked by a shark. But it’s still a good story, so keep reading. I love, love, LOVE the ocean, but mostly from the vantage point of the sand. Back when I worked at Club Med, one of the perks was being able to experience all of the Club activities along with the guests. One day I decided that I wanted to learn how to windsurf. The windsurf instructor wasn’t busy that day, so he gave me a beginning lesson on the sand and in the shallow water. When he thought that I had the hang of it, he urged me to go into the water even further, but still close to the shore. Now would be a good time to mention that I didn’t know how to swim. No problem, the instructor said, don’t go out too far and since he wasn’t busy, he’ll keep an eye on me. I’m pretty fearless and it didn’t look too dangerous. 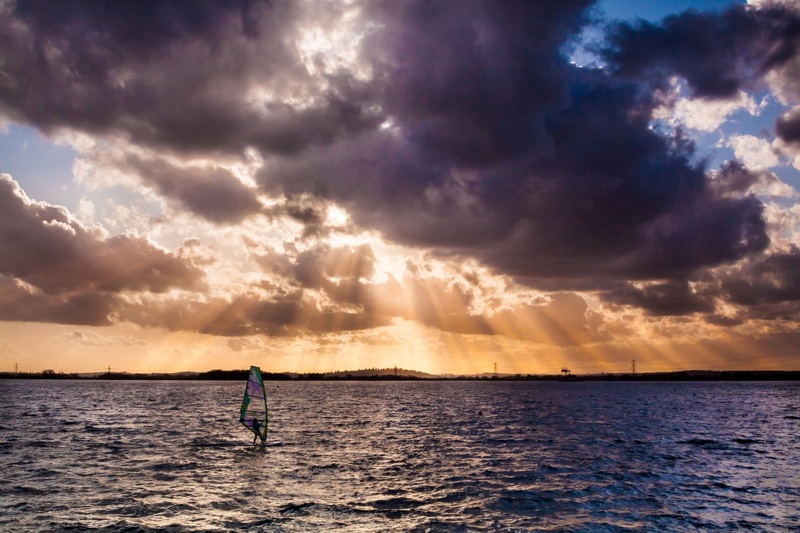 Besides, I had noticed that although beginner windsurfers fall quite a bit, they fall very slowly and are able to hold on the sail while in the water. I would be fine. And I was fine for a while. Since I was so small, when fell and I got back on the board, the wind took me pretty far. This went of for awhile: falling, getting back on the board, lifting the sail, surfing for a short while and falling again. Finally tired, the next time I fell I just sat on my board – and looked up to see that I was far away from the windsurf instructor (who was now busy with guests and forgot all about me) and far away from the shore. I wasn’t even on Club Med’s property anymore. I looked at the water and it was a very deep blue AND I TOTALLY FREAKED OUT. Sharks! That’s all I could think about. I didn’t actually see them, but I knew they were there. I tucked my feet up under me and made sure no part of my body was in the water. So I was not attacked by a shark (it could have happened! ), but I was in a real dilemma. 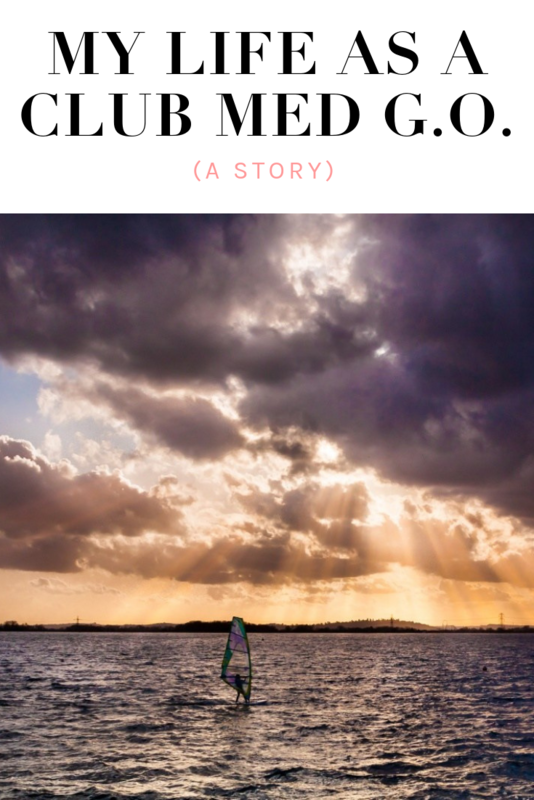 I couldn’t windsurf back to shore because I couldn’t control the sail very well and the odds were that I would take myself further out to sea. I couldn’t swim to shore because I didn’t know how to swim. I couldn’t yell for help to the Club Med personnel because they were too far away to hear me. So, I just sat on my board for what seemed like forever, but was really probably 15 minutes. Then in the distance I saw a small figure on the beach waving at me and yelling something in Spanish; it was a local Mexican gentleman walking on the public beach. I didn’t know who he was or what he was saying, but I just yelled back “Help Me!” To my surprise, he jumped in the water fully clothed, swam to me and pushed me on the board all the way back to shore. He didn’t speak English and I didn’t speak Spanish but I was so grateful and he knew it. After making sure that I was okay, he went on his way and I dragged the wind-surf board across the sand all the way back down to the Club Med beach.